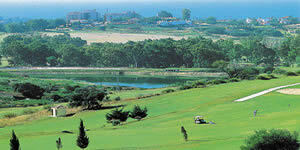 Atalaya Golf and Country Club has two superb courses. The Old Course, built in 1967, features fast, sharply-contoured greens and many challenging, well-bunkered holes. It is a fair course for the average golfer. The Old Course was designed by Bernard von Limburger, the 1925 German Golf Championships winner who became his country’s finest golf course architect of the time. With its wide fairways and large elevated greens, this championship course provides a challenge to golfers at all levels. Elegant and mature with spectacular views of the magnificent La Concha mountain, it is the perfect oasis of tranquillity on the otherwise bustling and vibrant Costa del Sol.